At the D&D birthday party James and I ran earlier this month, while the kids in my group were flying around on their stronghold’s stable of griffons, they rolled a wandering monster check that proved to be another griffon. I decided that this one had been the mount of an adventurer like themselves; bloodstains on its empty saddle indicated that its former rider had met a bad end. In the griffon’s saddlebags, they found a map showing the location of two treasures, the horn of the valkyries and the cloak of shadows. After some excited discussion, they decided to set off after the horn. As they flew their griffons up the hill where the map said the horn of the valkries was hidden, the players rolled another wandering monster. (A result of 1 meant it was on the OD&D encounter tables, whereas a 6 would have meant the Pokemon encounter charts my son drew up for the campaign we play together & which we also used for this birthday party). This chart yielded a group of 20 elves, which I described as using ropes to climb up the hill. A reaction roll said that the elves were unfriendly, so when the birthday boy decided to fly closer and see what the elves were up to he was met by a volley of long-range arrow fire. Three of these arrows struck and left him near death, so he flew back to his comrades to be healed. The players decided that the elves were out to get the horn of the valkyries, but that rather than tangling with them directly, the best revenge would be to beat them to the treasure. Hearing the player’s interpretation of events, I decided to “make it so”. Adopting their take on what a wandering monster meant gave me the chance to add time pressure and a rival for their search (which itself arose from a wandering monster). I think it’s often going to be the case that going with the players’ ideas will yield better results than your own. Basically, everyone at the table is working to interpret the events that are generated through play and fold them into an integrated narrative. The DM sees this as “how do I take the few bits of information handed to me by these random events and turn them into an interesting & challenging situation?”. The players see it as “how do we unravel the clues handed to us by the DM and figure out what’s really going on?”. Since these are functionally identical, the side with the most brains working on the problem is usually going to reach the best solution. The first part of this definition implies that the player’s decisions don’t matter; the DM has control over the outcome and will make it so no matter what the players do. I’ll talk about this illusion of choice in a separate post. For now it should suffice to point out that using wandering monsters (and related techniques that can make randomness highly consequential) is a way for DMs to relinquish a substantial amount of control over the outcome of the game. As a DM, I don’t want to dispel the illusion that I have a secret plan, because that would take away the pleasure that players get when they feel they’ve figured it out. But is this deception wrong? Should I work to make explicit what I see as the implicit advantage of wandering monsters: that I get to be just another participant in figuring out the story, not its all-knowing mastermind? After the defeat of the balrogs and en route to the volcano, the party flew over a group of primitive humans. It was a random encounter, and everyone understandably filed it in the “Useless Information” folder. Often wandering monsters have no narrative import, but perhaps a few do. Granted, I’ve missed several sessions, so I can’t successfully bring together all the occasions that our swords & sorcery adventure has crossed over into the prehistoric adventure genre (I wasn’t even there for the allosaurus that chomped Chrystos’ robo-liger), but perhaps the group has overlooked a clue. What if there’s a nearby gate to the lost world of pterodactyl riders? I’d visit that world through that gate if I could find it. People want to believe that illusions could be real; that’s why we go to magic shows. I think the illusion that’s important to us as RPG players is the sense that events in the imagined world have their own independent and pre-existing reality. Even though at one level we know that some of these events are the result of random rolls on a chart, at another level we treat the dice as oracles that reveal this other world. This illusion that both dice rolls and asking “what do I see when I throw a torch into the pit?” are ways of discovering what’s out there in the game-world seems to me vital to what roleplaying is about. Because I value this illusion that we’re discovering rather than creating so much, I prefer mechanics that leave player control over the narrative covert. When “what’s in the pit?” is determined by throwing dice and looking at a chart, it still feels like it’s an objective fact. I can speculate about the next step, “what does that mean,” as if I were my character. Knowing at some level that the DM might overhear my ideas and make them so doesn’t force me out of that perspective, especially since I won’t know whether my speculation has been adopted as game-reality until I test it; the element of uncertainty is preserved. When “what’s in the pit” is something that I gain the right to narrate through the game mechanics, I briefly lose both the immersion of looking through my character’s eyes and the thrill of discovering what is and isn’t true. 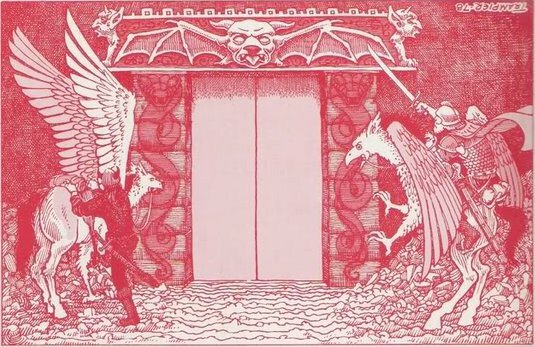 I think the way that this illusion can become harmful is when the idea of the waiting-to-be-discovered meaning that will make sense of events in the imagined world becomes too closely identified with the idea of the DM’s secret plan. For players, I’ve often seen meta-thinking about “what does the DM expect us to do in this situation?” drive out roleplaying “what does my character want to do next?”; the ability of old-school techniques for randomness and sandbox play to short circuit this meta-approach has been a major draw for me. For DMs, the idea of the secret plan can be seductive. I know I’m all too susceptible to megalomania; at some point I internalized the feeling that I should indeed be a demiurge capable of creating an infinitely rich world in which every detail is part of the magnificent hidden plan that I alone have created. When I feel guilty about “stealing” the kids’ ideas for what the rand0m-monster elves are doing, it’s because I’m feeling bad about not really being the Wizard of Oz they think they’re outsmarting. To hell with that! Dressing up in an exotic disguise and calling myself by a grandiose stage name would let me put on a better magic show, just as pretending to be an all-knowing schemer and cultivating a poker face lets me run a better D&D game. But I’d be crazy to think I could really do magic. As a DM my strength comes from recognizing the players’ good ideas when I hear them, and mixing them in with just enough of my own that they can never be sure what’s true until their characters have roleplayed the process of discovery. Strangely less popular among nine-year-old boys than the unicorn. 1) Kids arrived and settled in. They all knew one another from school (third grade). Most were new to D&D, although one was in our afterschool class last semester, one is new to it this semester, and one was my son who I have not stuffed quite as full of D&D lore as James believes because the fanatic pursuit of Pokemon lore he shares with the birthday boy competes for brain-space. 2) Kids chose which color dice they want and which miniature will be their hero, both of which they got to keep as “goodie bags” from the party. We didn’t have them do any further character creation (all heroes had the same stats behind the screen) except for name. Lots of the kids who hadn’t played before had problems coming up with a name, so I asked if they wanted to roll for one. I didn’t actually have a table, I just used the time they were rolling the dice to think them up. 3) The scenario was that the heroes set forth from their stronghold to explore the surrounding wilderness in search of magical items to claim and Pokemon to capture. We had the kids construct the wilderness using Heroscape hexes, and the stronghold using wooden Kapla blocks. 4) While eating pizza, kids chose which one of the magic items their hero wanted to start with. James and I designed 14 these to define roles without having to explain classes (although many kids decided “my guy is a mage” or whatever anyways, either through previous exposure to D&D or videogames with class archetypes), and to do the D&D thing of having pre-defined powers that let you do a particular awesome thing and then find ways to try to apply it to whatever situation you wind up in. This worked really well with kids at this age and experience level; some examples were the Sword of Sharpness and the Wand of Wonder. Not every item got used in play but it really helped establish the tone of the game and made the kids feel that their heroes were chock-full of awesome. 5) The kids divided up into teams – one rides the unicorns that the stronghold has in its stables, the other group flies out on its griffons. They got to keep the miniatures for these too, and I used blu-tak to glom their hero miniature onto their steed’s base. James predicted that nine-year-old boys would shun the unicorns, which was a problem because this was meant to be the way we split them into manageable groups for each of us to DM. We gave the birthday boy the choice of which team he wanted to captain, and when he chose griffons that further stacked the deck in their favor. But in the end, we had four unicorn-riders and only three griffon aeronauts. James and I had decided that we’d try to counterbalance the unicorn’s potential pink-factor by saying that they were more reliable than the risky, hard-to-control griffons (as his PC had experienced first-hand in Delta’s superb Corsairs of Medero scenario at Recess). 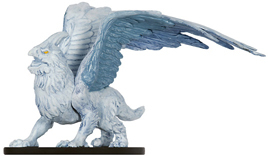 I don’t know if this was what made the difference, but I had a ton of fun roleplaying the balky griffons. 7) James and I then each ran a hexcrawl for our respective teams. We chose this because coming up with a more planned scenario would have required coordination, whereas a purely procedural move to a hex,encounter roll, reaction roll, combat or negotiation, morale, etc. was something we could each wing. I got lucky with my first wandering monster – a griffon, which I decided was a riderless mount like one of my group’s. They used their horn of plenty to produce some horse meat with which to befriend this new griffon, and I had a great time roleplaying the reaction of the existing griffons to the interloper and to this bountiful cascade of meat. Some of the riders failed their control rolls, so one hero was wrestling for control of the meat-spewing horn with his mount while another was carried along on a dive after the steaks falling into the sea. The thing that really paid off in this encounter was that I decided that the newcomer’s saddlebags held maps to the likely locations of two of the magic items, the horn of the valkyries (which I’ll post about separately) and the cloak of shadows (which was being worn by a hobbit thief, who coughed it up after one of the kids successfully had his griffon swallow said halfling). Choosing between which of these to go after, and then being able to count hexes to the location and plot a course, fortuitiously gave direction to the hexcrawl. Without this, James felt like his group was a little more aimless, so having or finding a partial treasure-map is definitely something to do for next time. 8) Cake, ice cream, and singing “Happy Birthday”. I was glad the parents remembered this part! Maybe our party services should include D&D themed cakes so that we don’t forget the traditionals. I was glad to see the kids were having so much fun they weren’t asking “when will we have the cake?” every five minutes like at many birthday parties I’ve taken my son to, but I would have caught hell from him if we left and then he realized there hadn’t been any. 9) Properly hopped up on sugar, the two teams return to their stronghold and find it’s been taken over by intruders! As they were eating their cupcakes, we set up the miniatures for this. A silver dragon and the skeletons he’d created by sowing his teeth into a field crouched on top of the block-castle, and fielded an army of lizard-men who were advancing on the siege organized by the gargoyles who’d been left in charge of the stronghold and the dragon-hunting Lord who had been befriended during another random encounter (which I used to foreshadow this encounter; he reported that the silver dragon was not sleeping in its lair like it should be, bum bum ba BUM!) . The kids knocked down these miniatures, and their own block-castle, by firing discs at it using crossbows and catapults. James and I were kept busy going “arrr!” and narrating the battle reports while sliding the disks back at the kids (having more ammunition would have been good!). This made for a dramatic climax story-wise, and as actual play it was really nice to let the kids do all the yelling, throwing stuff, and bashing miniatures that we spend so much effort in the afterschool class trying to prevent. Doing all of this was enough fun for me that I’ve set up a company, Adventuring Parties LLC, to offer birthday parties, bachelor parties, events, etc. Its website is active now although still a little skeletal – click the link to check it out, or just email tavis@adventuringparties.com if you are in the NYC area and have an event you want us to do, or if you’re a Dungeon Master elsewhere and would like referrals to do parties in your area.